Rob Grant has made a very enjoyable comedy-thriller, in which three is definitely a crowd. Richard, Sasha and Jonah are friends. Richard and Sasha have been together for a while, but Richard suspects Sasha to be cheating on him with Jonah. And, as shown early on, Richard is also prone to working himself up into debilitating bouts of rage. So what do Sasha and Jonah buy him for his birthday? A speargun. Ehm... wait, what? Of course there's nothing new to the movie concept of confining bad people together in a small space, and you might wonder how much mileage you can get out of such a situation when there are just three people in it. Surprisingly, the answer to that is: a lot. Grant smartly runs through the plot points you're already waiting for, and as a viewer you've seen the whole story as expected play out in the first twenty minutes or so. But that's when the fun starts for real, and the film throws plenty of unexpected moments at you. There's gore, tension, revelations, funny bits... but refreshingly, most of them manage to come out of nowhere yet feel completely natural when they happen. There are shocks and surprises too, and at 82 minutes, Harpoon is too lean to ever get boring. When you're looking at just three people for an entire film, It helps if the acting is great, and thankfully it is. Christopher Gray, Emily Tyra and Munro (Turbo Kid) Chambers all do fine work here, and get better as the story progresses. At the start of the film I was briefly concerned the overall feel would be too hip, too savvy, and therefore too fake, but when the plot gets going, each actor starts getting several key events to shine in, and they score every time. According to the Q&A after our screening, some moments were partly being improvised, and that these survived is a testament to the chemistry between the actors. 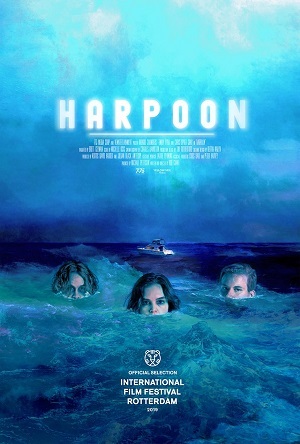 All in all, Harpoon is a very enjoyable comedy-thriller, with plenty of jet-black humor and the occasional dollop of squirm-worthy gore. At my screening, the audience laughed, groaned, gasped and flinched at the right moments. And I don't have to draw straws to tell you that if you're not squeamish, I definitely recommend seeing it! 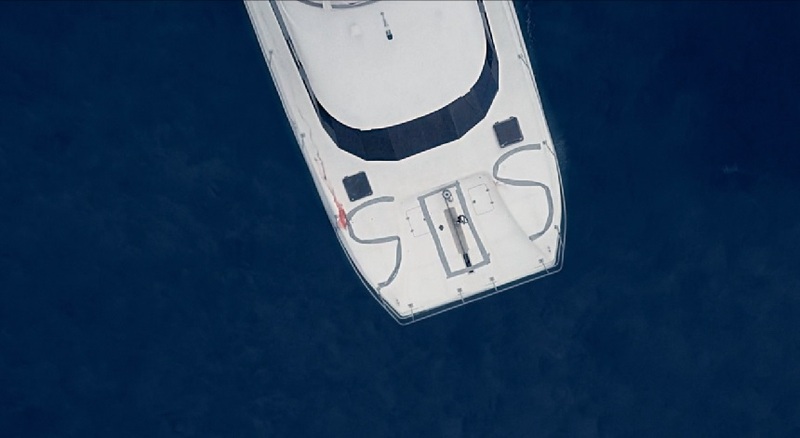 Harpoon had its world premiere this week at the International Film Festival Rotterdam.